Shadow and Bone introduces a brilliant high fantasy world brought to life through glorious writing and intriguing characters that leap from the pages. Here’s my Shadow and Bone review. For me, fantasies don’t always manage to tick the right boxes. They can be amazing, but in my limited experience of reading them I’ve found that more often than not they leave me confused and unsatisfied. That’s why I’m glad to say Shadow and Bone is one of the exceptions. It had me hooked from beginning to end, gushing about it to anyone who’ll listen and itching to get my hands on the sequel. Alina, a pale, lonely orphan discovers a unique power that thrusts her into the world of the kingdom’s magical elite – the Grisha. Could she be the key to setting Ravka free? But what of Mal, Alina’s childhood best friend. As Alina contemplates her dazzling new future, why can’t she ever quite forget him. With high fantasy, sometimes it can be a bit overwhelming. There’s often so much to learn that it gets a little difficult to consume. What I liked about Shadow and Bone is that the world is slowly introduced in bitesize pieces, but at the same time the reader is never assumed to be too incompetent to follow what’s happening. I’m guessing that big fans of high fantasy might find it a little watered down compared to other books they’ve read, but for me, it was absolutely ideal. The world that Leigh Bardugo has created is stunning. It’s inspired by Russia, which I know has caused a bit of a stir among the reviewing community due to language and culture inconstancies, but for someone with no knowledge of the Russian language I was (perhaps thankfully) oblivious to this, and only became aware of it when looking on Goodreads after I’d finished the book. I love the magical powers the Grisha have, from the ability to summon darkness, sun, fire, wind and more to the ability to heal wounds and craft beautiful objects in minutes.The Little Palace that they reside in was wonderful to discover and explore with our main character Alina, too. I found Alina to be a likeable, relatable and believable character, and it was a pleasure to follow her journey. I found myself falling in love as she did, and in turn getting my heart broken too. The romance elements and love interests in Shadow and Bone are certainly swoon-worthy, and I’m looking forward to finding out what happens to them in the second book in the trilogy, Siege and Storm. There are several characters that stood out to me as being really great: The Darkling, Genya and The Apparat. I don’t fully understand any of them yet, which is one of the reasons they appeal to me. I’m hoping that the sequel will shed some more light on each of them. Towards the end of the book, there is a chapter or two that’s a little slow as we follow Alina and another character (no spoilers here!) on their journey across the country, but other than that Shadow and Bone is action-packed and thrilling. It’s a definite page turner and I finished it within just a few hours. I wouldn’t hesitate to recommend Shadow and Bone to any YA fan, particularly those with a love of romance and magic. Have you read Shadow and Bone? I’d love to know your thoughts. 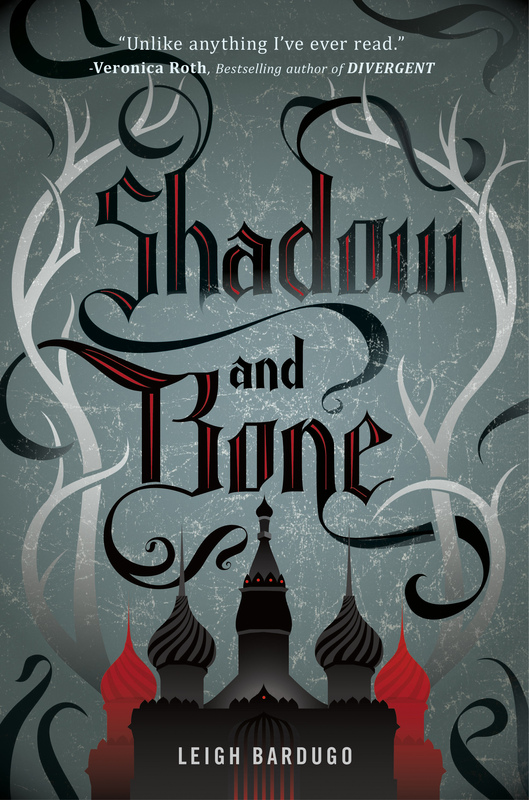 I’d also love some recommendations based on Shadow and Bone – any similar books you’d recommend? This has been on my TBR pile for so long! I’ll have to pick it up soon. I really liked Shadow and Bone and I’m looking forward to Seige and Storm too. I would recommend The Bone Season by Samantha Shannon if you like Shadow and Bone (you might have already read it?). The Bone Season isn’t as good as Shadow and Bone, but it’s fairly similar and enjoyable overall.